iBox Printers have created a new resin 3D printer that is capable of creating 3D prints using carbon fibre resin, providing a tried and tested way to create objects that offer the strength of steel yet can be created in your office. The development team behind the unique printer has taken to Kickstarter to raise the $200,000 they require to take their new resin 3D printer into manufacture. Watch the video below to learn more about its unique characteristics and the inspiration behind the resin desktop 3D printer. Some of you might remember the company from their first 3D printer which took the form of the iBox Nano which also launched on Kickstarter raising just over $450,000. To create the world’s smallest and least expensive 3D printer. The development team explains little more about their latest project. The iBox Macro is a desktop 3D Carbon Fiber Resin printer that can print using Carbon Fiber Resin or Standard Color Resins. We are proud to offer what we believe to be the worlds first Carbon Fiber Resin 3D Printer. 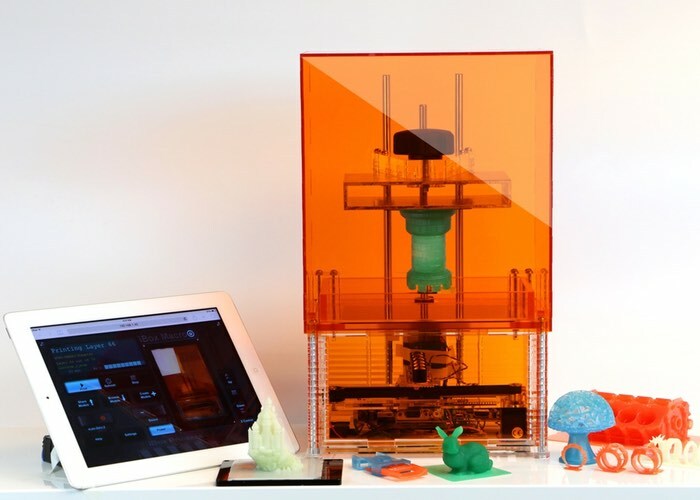 The iBox Macro is the least expensive full-sized desktop 3D resin printer on the market. It was designed specifically with quality and price in mind. The iBox Macro is a full featured 3D resin printer delivering unsurpassed quality in a small, quiet package. The iBox Macro has the largest build area to device size, consumes the least amount of power, and operates completely autonomously over WiFi using an internal linux computer. The feature size is 100-145 microns on the X-Y axis and 5 microns on the Z axis. For more details on the new iBox printer jump over to the Kickstarter website where the printer is available to back with pledges starting from just $499 for early bird backers, although these only ship within the United States.